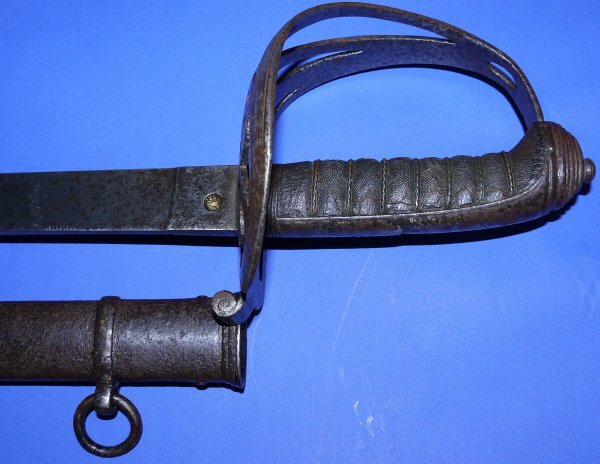 In aged but sound condition, a Victorian RIC (Royal Irish Constabulary) Officer's Sword, by Ireland & Sons of Dublin. The maker's / retailer's name etched to the forte / ricasso is very feint, but it is "Ireland & Sons, 12 & 13, Elliss Quay, Dublin". 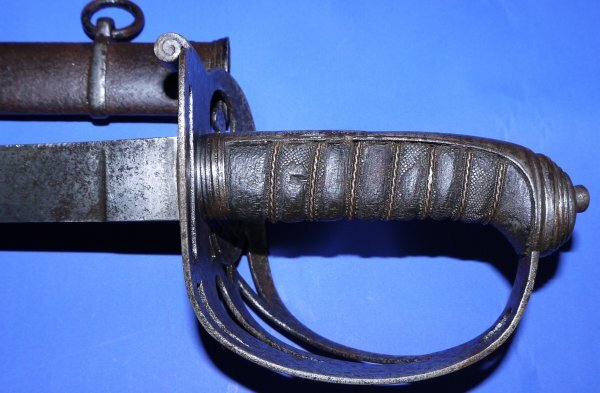 The 32 1/2 inch flat blade, engraved with RIC harp badge one side, Victorian cypher to the obverse, is in aged but good order, and firm in the hilt. The hilt has aged, but is sound. The grip has all but lost its fishskin one side. The scabbard has rust pitting (now treated) but is sound. The sword sheathes and draws well. 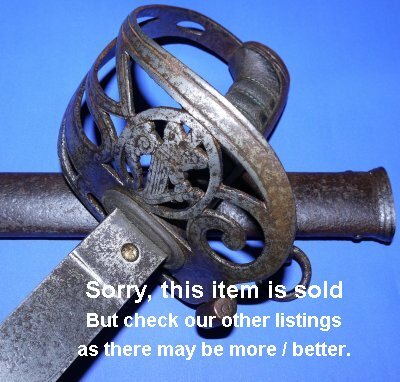 A rare sword at a rare low price, just £? (too late, now sold) . Please quote item reference R45 (0534). Further / full sized images available upon request.